NELSON has a long history in soil remediation across the globe. The company has amassed impressive project specific statistical data. NELSON’s global infrastructure is capable of completing the largest soil remediation projects on the planet. It has also allowed us to be recognized through leading Canadian programs, showcasing NELSON not only as a leader in our capabilities to remediate large projects but as leaders in the environmental industry. 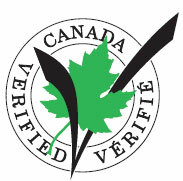 Nelson Environmental Remediation is proudly recognized through the Canadian Environmental Technology Verification program. The ETV program is delivered by GLOBE performance solutions and independently verifies that environmental technology claims are credible. …to give you Clean Dirt, No Doubt!